Back on market and reduced! Cozy upper unit Vista Pacifica condo with vaulted ceilings and real hardwood floors. Breakfast bar in kitchen, dining area and spacious living room. Enjoy breakfast out on the balcony area that has a great view of trees and a relaxing stream that runs through the complex. This end unit condo features 2 master bedrooms and is just a couple of miles from the beach. 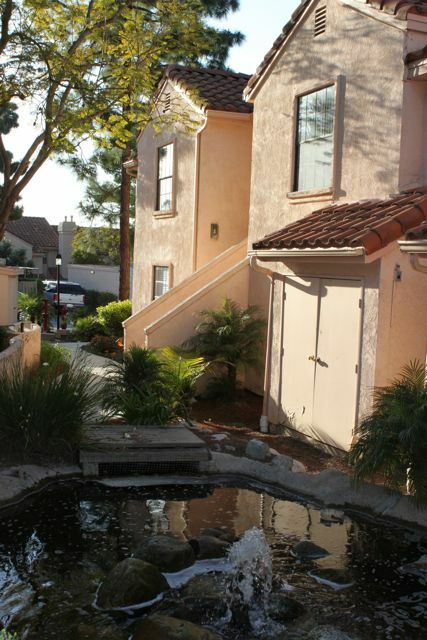 Perfect starter home in beautiful San Clemente!